Messy topknots seem so easy and quick, but that isn’t always the case. The messy ones eventually fall down if you have really long hair, or it just doesn’t look messy enough and a little too polished. I set out on a messy-ish topknot mission about a year ago- I wanted it to stay in/up all day, but not be so ballerina-bun perfect. Friends, I finally figured it out and it only takes 2 minutes or less! 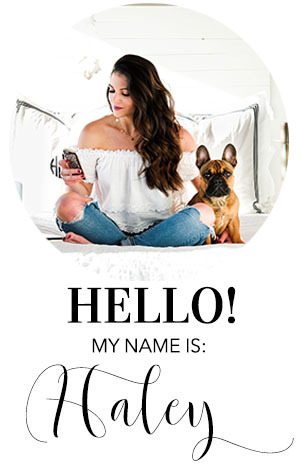 Keep reading for all of my must-have products and a video tutorial that will help you achieve the perfect “messy-ish” topknot! If you're on the hunt for a cute Easter dress that won't break the bank, you've come to the right place! Today I'm sharing 10 dresses under $100 and 10 dresses less than $150. No matter what you're budget is, there's an adorable dress with your name on it! Happy shopping!